A little Squiggle finds herself alone on a lined page and doesn’t know who she is. She decides to jump into the pages to figure herself out. Is she a question mark, a comma, a stop, an exclamation mark, an apostrophe, a colon, quotation mark or ellipses? As she encounters each of these marks of punctuation, Squiggle understands what their functions are and why she is not like them! She does not have a partner and so is not a quotation mark, she is not as smart as a comma and cannot come up with interesting sentences, she cannot squish words like an apostrophe and she does not know when to stop! Eventually a delighted Squiggle discovers just who she is and all the things she can do. Through fun short sentences, Natasha Sharma makes the world of punctuation come alive. She also provides the origins of basic punctuation and interesting exercises to help children practice some marks of punctuation covered in the book. There are fun game suggestions should you decide to throw a Squiggle party! I think this is one book that would appeal to all three stakeholders in children’s books – the parents, teachers and kids themselves. 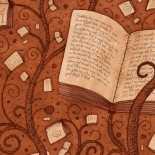 While younger kids would love the illustrations, for the older ones the illustrations would cement the lesson taught. 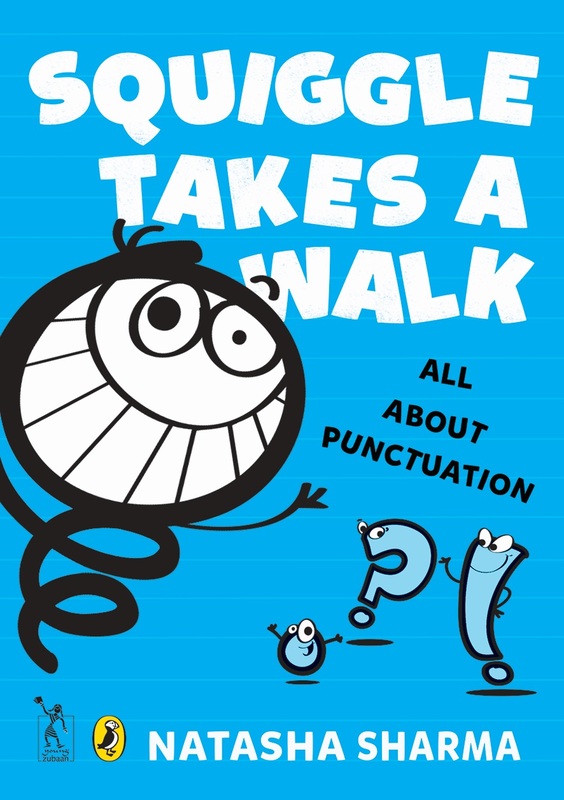 Squiggle Takes a Walk is brilliantly produced and reminded me of ‘Punctuation Takes a Vacation’ by Robin Pulver. Highly recommended that you possess a copy of this book! This entry was posted on March 23, 2015 by Preeti Singh in Book Reviews, Kids and tagged natasha sharma, Penguin, squiggle takes a walk, Young Zubaan.